Mitzi Weinman is the founder of TimeFinder, which offers practical approaches to personal productivity. 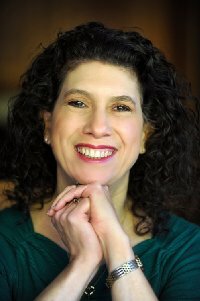 As a coach, workshop leader, and professional speaker, she helps people develop good habits and techniques to reduce stress which can result from not planning, procrastinating, feeling disorganized, and overwhelmed, and rushing to get things done, at work and/or at home. Since 1989, TimeFinder's programs have provided ongoing support and professional and personal development to hundreds of companies, individuals and associations including New Balance, Reebok, Boston Symphony Orchestra, Dana Farber Cancer Institute, Pearson Education and Marriott University. She earned a bachelor's degree from the Newhouse School of Communications at Syracuse University and lives in Needham, Massachusetts, with her husband, son and dog.